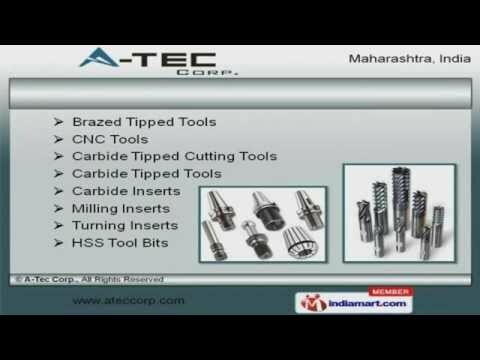 Welcome to A Tec Corporation, Supplier of Carbide Tips, Cutting Tools, Precision Measuring Instruments and CNC Tools. The company was established in 1990 at Mumbai. International quality standards and in depth knowledge make us different from others. Hassle free transportation, efficient after sales services and product sampling policy make us the preferred supplier in the industry. We offer a wide array of Tool Holders, Carbide Brazed and Brazed Carbide Tools. Carbide Tipped Cutting Tools, Milling Inserts and HSS Tool Bits are in huge demand across the global markets. We also provide HSS Tool Blanks, Industrial Boring Bars and Face Mills that are well known for their durability. Our Carbide Drills, Turning Tool Spares and High Speed Steel Bits are extremely reliable. We are highly involved in providing an impeccable range of Wood Drill Bits, Measuring Calliper and Micro Meters. Industrial Gauges and Brazing Carbide Tips for Allied Industries are widely demanded in the market.